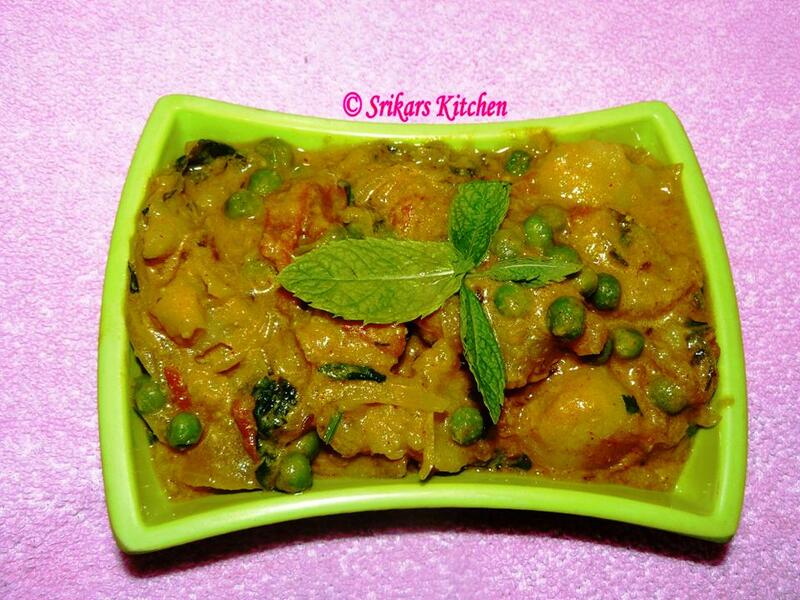 This Potato Peas masala is my all time favourite dish. It does as a best combination of roti & Poori. Boil the potatoes Deskin & dice it. Grind to a course paste "to grind" ingredients as above. Heat oil in a pan,add cumin seed , allow to temper. Add onion,tomato & sauté until soft. Add turmeric powder,fennel powder,chilli powder & garam masala. Mix well & add ground paste. Allow to cook for 2-3 mins & add peas . Add one cup water & allow to boil. Add chopped mint & boiled potatoes. Mix well & allow to boil. 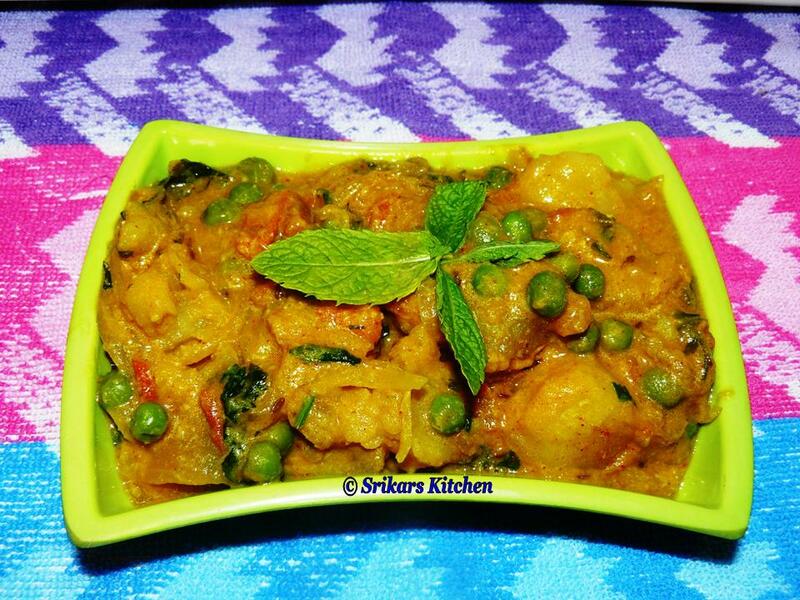 Serve with Roti or Rice.. I love and make it pretty much the way, good with rotis! Loving that grinding part, quite a rich and droolworthy kurma.